Despite internationally acclaimed director Yorgos Lanthimos not penning the script this time, “The Favourite” is still very much one of his films. The severe divisiveness among critics caused by “The Lobster” and “The Killing of a Sacred Deer” is lessened in “The Favourite,” which started garnering Oscar buzz the moment it debuted at the Venice Film Festival. It’s very much a comedy, much the same way “The Lobster” was both ridiculous, hysterical and ultimately somber. “The Favourite” is yet another one of 2018’s all-female lead casts, though Nicholas Hoult (“X-Men Apocalypse“) does some of the best work of his career here. If you are familiar with Lanthimos work (and my reviews of his films) you already know his inclination to start each film off with a rapid energy that slowly dissipates to a trot. That formula is used again in “The Favourite” which is constantly reinvigorated by the three grand performances and the cunning dialogue. Queen Anne (Colman) ruled England from 1702 to 1707, though much of her life was plagued by sickness and sloth. Her best friend and most trusted advisor Lady Sarah, Duchess of Marlborough (Weisz) is the authority behind most of the queen’s personal decisions and matters of state. Sarah also takes care of the infantile queen’s more personal needs. At least until the destitute former Lady Abigail (Stone) arrives, and becomes Sarah’s competition for the queen’s affection. Their rivalry quickly turns ugly as Abigail proves to be quite the social climber and devious manipulator, “All I know is your carriage awaits and my maid is on her way up with something called a pineapple”. The energy in the dialogue is delicious, the cattiness will satisfy those hungry for outrageous content. The studio’s awards campaign strategy of running Colman (who has the least screen time of the three) in lead could be risky since all three could and should land nominations, but would require Oscar winner Stone (who has more POV time than the others) to run as lead. Oscar winner Weisz is the best she has been in years. She is unabashedly cruel, confident and her outfits are iconic. All three actors were certainly cast both for their previous character incarnations, but each of them reaches a delightful new range here. The energy in the dialogue is delicious, the cattiness will satisfy those hungry for outrageous content and the script has a unique way of being ridiculous, yet simultaneously finding veins of truth in the historical timestamps so we learn something too. Even the title cards are ridiculous as the lettering runs from the very top of the screen to the bottom, setting up each scene. “The Favourite” isn’t without its detraction’s. Like all Lanthimos features, the story begins to wane with the film’s long run time. Also, the vitality between the three actors is what makes the film work so well. When that dynamic changes, the story gets a bit less interesting. 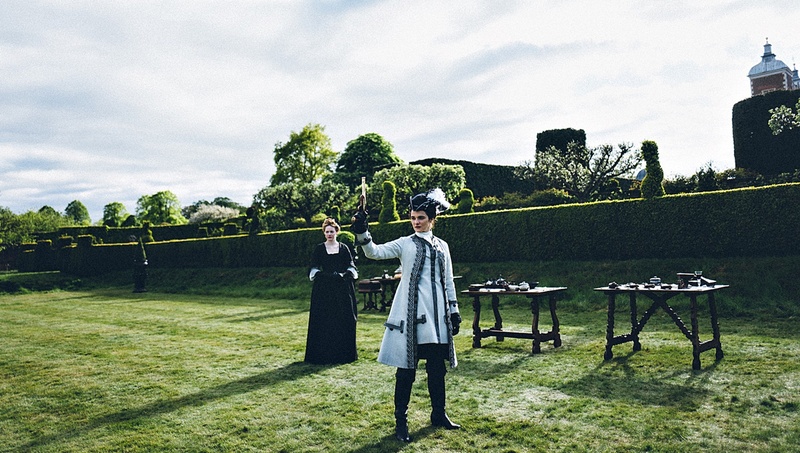 “The Favourite” won’t be everyone’s cup of poisonous tea, however, it’s likely to garner more mainstream appeal than “Lobster” or “Deer.” The production design, costumes, and makeup are all ridiculously lavish and should fare well in technical award categories, but this is a movie about acting and these women certainly give you your money’s worth. Flippant, rude and sarcastic, "The Favourite" is a devilishly good time with three brilliant performances.